A trio of Stand by Me supporters turned their mid-life crisis into a mid-life fundraiser as they attempted to climb the highest peak outside Asia, to raise money for children living in poverty around the world. Richard McBride, a dentist from County Antrim in Northern Ireland, and two of his friends, affectionately known as ‘The Auld Amigos’, had previously undertaken challenging treks such as Africa’s Kilimanjaro and Mera Peak in Nepal. 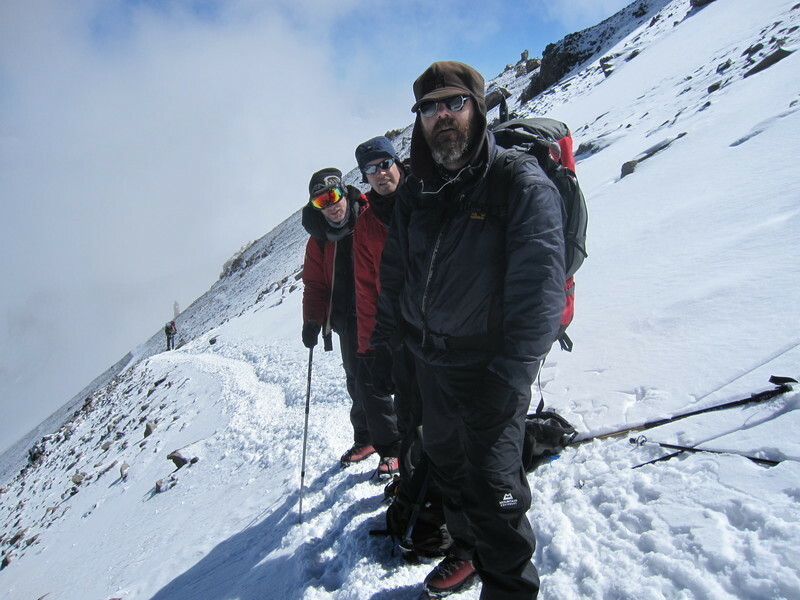 As their 40th birthdays loomed, they decided it was time for a much bigger challenge – the peak of Aconcagua in Argentina! ‘The Auld Amigos’ funded their own treks so that they could gain sponsorship for their efforts through family, friends and colleagues. The 16 day challenge was gruelling, and living at high altitude and carrying heavy loads soon took its toll both physically and mentally, with temperatures as low as -20 degrees centigrade. Despite being forced to abort the summit bid at 6,550m after a nine hour lung-busting slog – just 400m short of the ultimate goal – due to deteriorating weather, the ‘Auld Amigos’ exploits were a massive success. They raised a staggering £9,713 for Stand by Me Ethiopia. The team is extremely grateful to their many sponsors who supported them in their efforts and are thrilled to be reaching out to the desperately needy children in Bekoiji, Ethiopia.